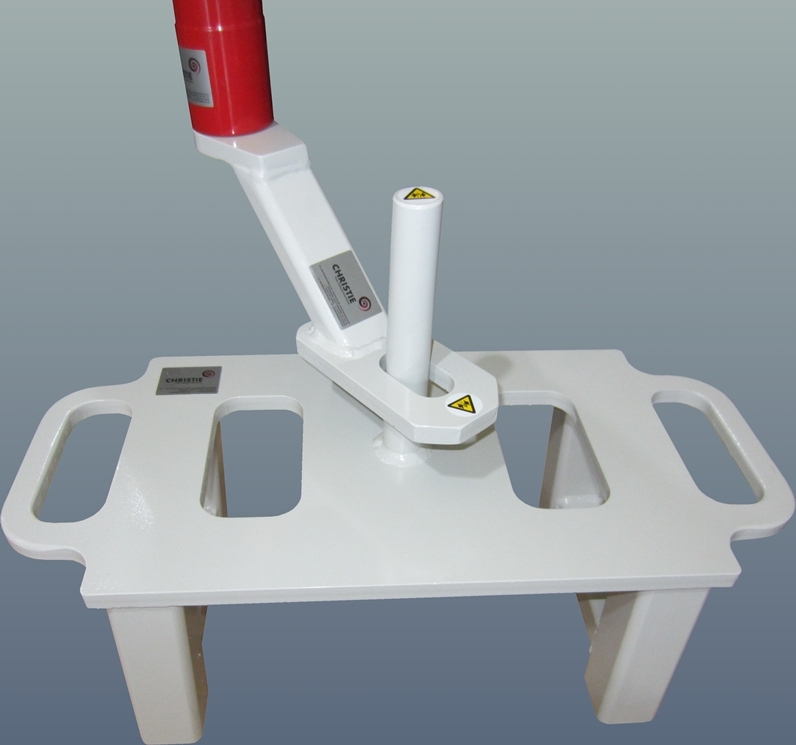 Many bolting applications are problematic because there is no suitable reaction point. This can be overcome by using a Reaction Platform System designed to suit specific bolting applications. The Bolting System for Railway Switch Track Equipment consists of a VC-RAD 14 Electric Torque Tool, Crank Slotted Reaction and Reaction Platform. 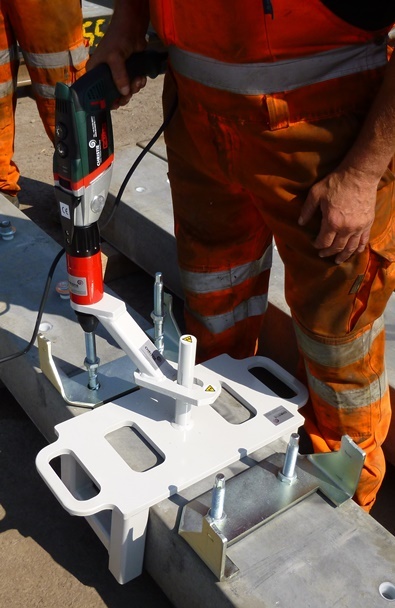 The assembly process involves fitting a metal plate to the concrete sleeper with self cutting bolts (14mm AF Male Hex.) which fit into plastic inserts within the mounting holes. 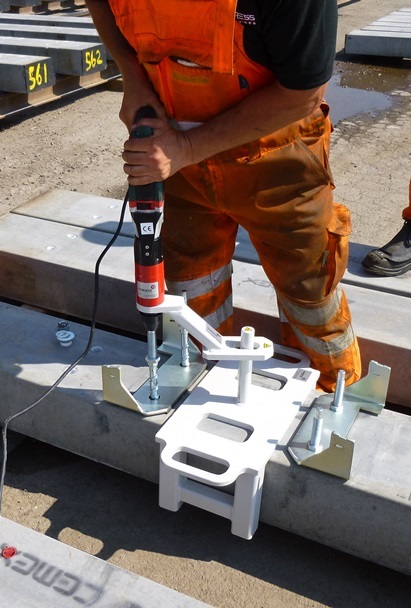 This system ensures a stable reaction for the safe and correct tightening of the metal plates to the sleepers. It can also be used for un-tightening the bolts. The principles behind this tooling system can be applied to many other bolting applications across all industries.